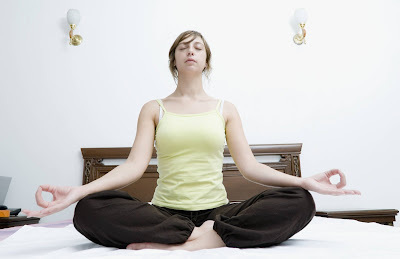 Transcendental meditation is a form of meditation (commonly called TM) derived from yogic principles (many of which have been discarded along the way). TM is not a religion, a philosophy or a way of life but a simple technique for expanding Consciousness, offering access to a limited reservoir of energy and creative intelligence. Transcendental meditation has eliminated the five early stages of yoga to begin immediately with the sixth and aims at experiencing pure consciousness. The basic tool of TM is the ‘mantra’ given by the teacher at the first meeting and which is repeated and is the heart of the system. The ‘mantra’ is kept a Secret and meditation is to be practiced in a special room. Transcendental meditation teachers and most students claim great success with the method and can cite numerous examples of individuals overcoming anxieties, neuroses and psychosomatic conditions, in addition to gaining better health. The followers of the orthodox path of Eastern disciplines charge that TM appeals to individuals who want ‘instant enlightenment’ without the preliminary basic training. You say: "TM is not a religion, a philosophy or a way of life but a simple technique for expanding Consciousness, offering access to a limited reservoir of energy and creative intelligence." Well, that sounds like a philosophy to me. The idea that you can use a technique to expand consciousness is by nature philosophical, if not religious. Please note, some consider the TM organizations to be cultish, with the organization promoting strange beliefs such as yogic flying, the maharishi effect (powers of meditating in groups), diet prescriptions, astrology and the need for east facing buildings to name a few.